A smell that brings back a long forgotten friend, an image that makes you unconsciously smile, a song that transports you to another time and place. Experiences we have in life embed themselves in our memories, painting our future expectations in broad brushstrokes of those past experiences, grouping them into categories, filing them away under comfortable headings. RJ and I used to go quite frequently to a Turkish restaurant near our apartment in NYC. It was relatively posh, popular with the locals and always buzzing… yet somehow just a bit dark. Cloaked in heavy fabrics and rich colours it was the uptown cousin of the always-closing-down rug store located in a slightly dingier end of town. This is what I came to expect from Turkish food. Buzzing and colourful but just a bit dark, just a bit heavy. 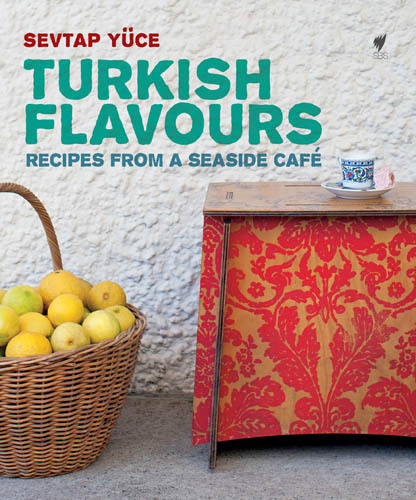 Turkish Flavours – Recipes from a seaside cafe has changed that. 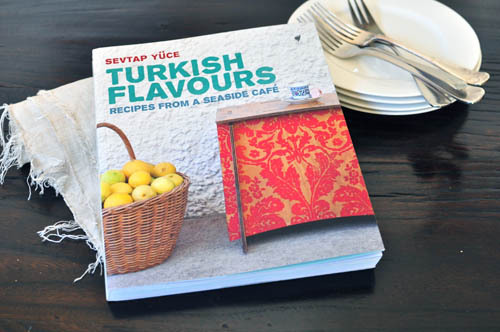 Sevtap Yuce’s first cookbook delivers on the flavours and colours I expected from Turkish food, but injects a lightness and freshness which comes only from proximity to the sea and a garden full of fresh ingredients. Born in Turkey, Sevtap moved to Australia at the age of 17. She spent a decade in Sydney, which included learning English while working in a patisserie in Sydney’s Inner West and doing a stint at Bill Grangers’s cafe, before moving to Angourie on the New South Wales North Coast and opening her restaurant, Beachwood in 1994. 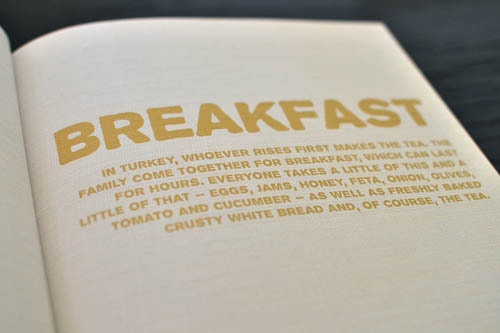 This book not only reflects the dishes cooked at Beachwood but those Sevtap was raised with in Turkey. The ones that bring back memories of childhood and family and a simpler time. The essence of Turkish Flavours is simplicity. 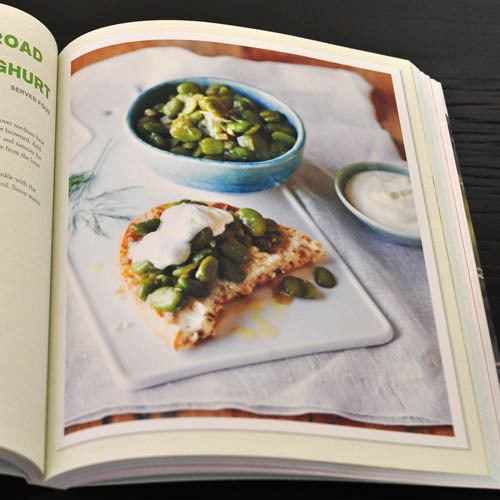 The authentic recipes use ‘fresh produce from your kitchen garden and basic ingredients from your refrigerator and pantry‘. Organised by course it’s easy to create a snack for one – or a banquet for 10 – with items found in most homes and corner veggie shops. The methods are simple and direct while notes and variations scattered throughout provide tips and spark ideas for alterations. The introduction, while a slightly clunky read, has lovely gems peppered throughout providing a peek into the heart and memories of Sevtap, and the inspiration behind her recipes. You quickly notice recurring themes – eggs poached in rich tomato based sauces, dips, spreads and toppings for bread, lots of vegetables and pulses, a couple different takes on olive oil and yoghourt cake, and the requisite traditional meat dishes. Maybe it’s growing up with a big, loud, extended, Mediterranean-decedent family and all the food that goes along with that experience – but it just feels comfortable and homey. 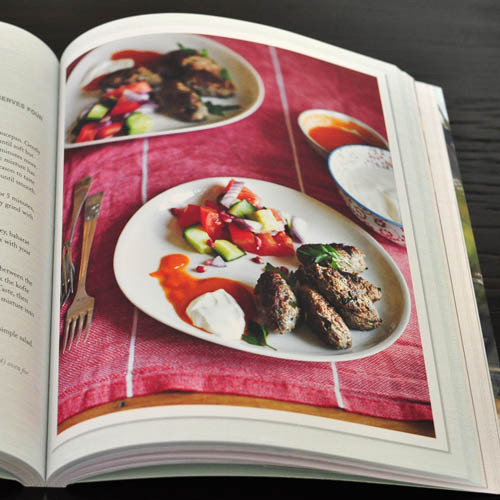 In Brief: Turkish Flavours is a simple, straightforward book – no tricky techniques or crazy ingredients here. 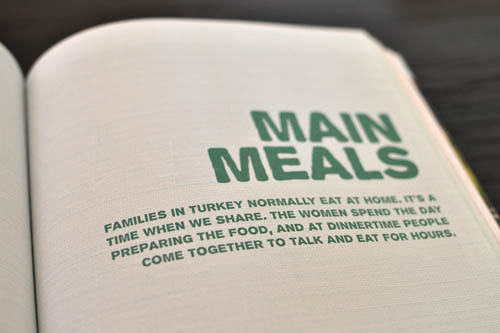 It provides a solid foundation of authentic Turkish food, with recipes that are open to adaptation if you are so inclined. A few of the items could have benefited from being rolled together as variations on a core recipe but there is a wide variety of dishes overall. There are as many vegetarian recipes as carnivorous ones and a dessert section that has definitely been bookmarked for later. Eye Candy: The photos above say it all. 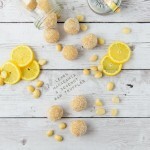 Every image is gorgeous and full of colour – the food nearly leaps off the page. 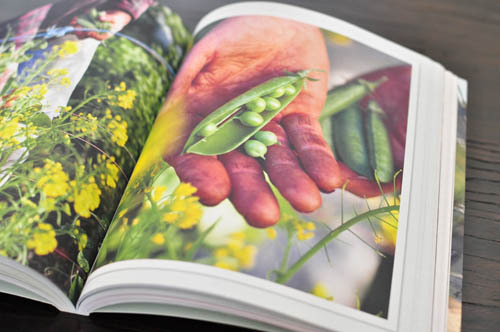 The presentations are simple and match the approach of the recipes, making it feel as if any dish cooked could easily be served up on your table as beautifully as in the book. Navigation: Probably best that you know the basics like how to boil water and perhaps saute onion but the methods are simple and straightforward. Organisation into meal categories leaves you flipping back and forth at times but the index is robust, listing recipes by name, ingredient and type in most cases. 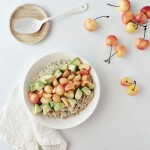 Fancy-schmancyness: Basic pantry staples and common veggies make for an easy shopping list. Well except for the testicles – I told you it was authentic – but that’s a whole other story. 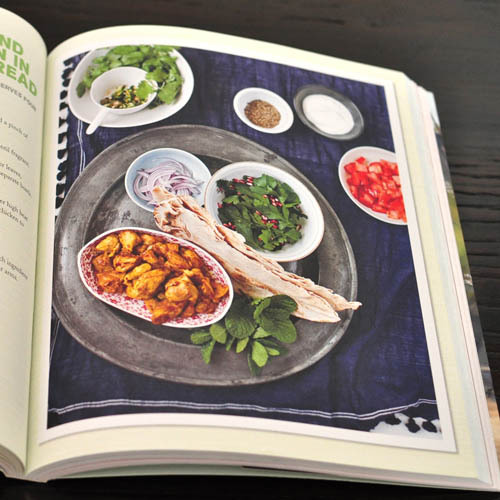 Boomerang Effect: Overall, it is a book I’ll go back to for quick, fresh, no-fuss meals – or maybe just to drool over the photos. If I ever find myself just south of Byron I’ll make sure to pop into Beachwood for a meal. Now I have a habit of buying cookbooks and food magazines, looking at them for ideas, and rarely cooking directly from them. But you can’t review a book of recipes with sticky noted pages alone. So out came the pots and pans and jars and bowls for a weekend Turkish brunch feast. 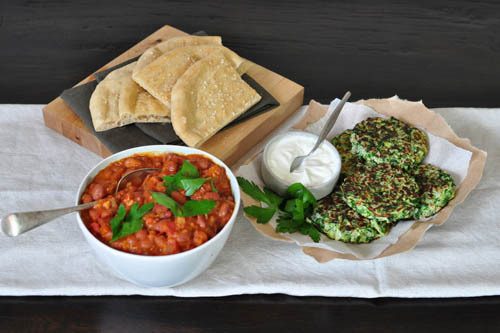 Over the giveaway period I’ll be posting the recipes from our feast – Zucchini Fritters, Turkish Baked Beans, and Turkish Bread to sop it all up – so you can enjoy a taste too. Hardie Grant were kind enough to send me this book to peruse. I liked it enough to ask if they would give one to a lucky reader and they were kind enough to oblige. Giveaway – woohoo!!! I cannot cook or eat spagetti Bol without thinking of my mum making it. It was my favourite dinner as a kid but what I loved most was mum would keep a little bit aside & make it into a sandwich for lunch at school the next day. I loved popping the lid on my lunchbox & smelling all that garlicky tomato-y goodness just waiting for me. All these years later I still eat spag bol sandwiches….yummo! I have gone & liked 84thand3rd on Facebook – thanks for the heads up, great page! Roasted whole garlic with olive oil and bread, my Mum used to serve it up and we also had it at our wedding dinner. My Nanna’s homemade Fruit Mince pies. One bite transports me to all the happy Christmas celebrations of my childhood. Her pastry, perfected by a lifetime’s practice, her gentle light touch and her great love of the cooking arts is absolutely delicious! And I have liked 84thand3rd on fb! 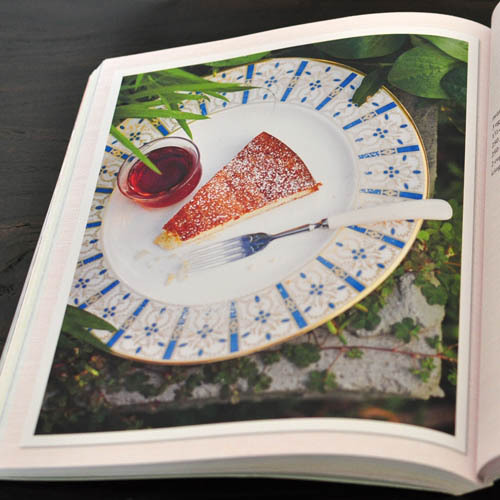 Oh this book looks great….so beautifully styled too! I love golden syrup dumplings…as kids (and, uh, as adults……) we would beg & beg mum to make it but it was a very rare treat (probably just as well…..) but so good! Roast potatoes and real gravy by my mum. Best English comfort food. 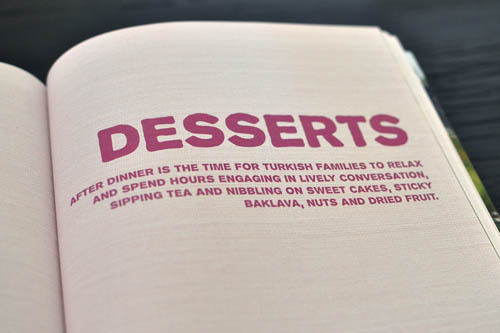 That book looks so delightful, I spent a few months eating my way around Turkey and I loved every mouthful. I really tried, but I just can’t answer your question, choosing a single dish is very hard, I have so many memories centred around food and happy times, it’s impossible to choose a single dish! But I have followed and liked you, so maybe that’s just two entries. My mother always cooked Christmas morning rolls on Christmas day… Now my Father and siblings ask me to try and recreate it, makes the house smell so inviting and reminds us of her wonderful cooking! Country Split toast with marmalade and a glass of milk, always reminds me of the breakfasts with my Nana when I was a little girl. afternoon tea pikelets made by mum.. often an after school treat. We didnt have much money but she always did her best for me and my brother.. She is the best!!! Charcoal Chicken – reminds me of the nights I spent talking to locals in Greek Tavernas! Oh wow that book is gorgeous! I always think of my trip to Greece when I was 21 whenever I eat a bit of fresh bread with salami, feta and tomato. 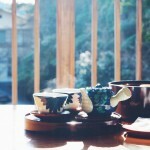 That trip was the first time I really understood how amazingly delicious simple food could be. I really need to go back to Greece to relive that experience, as it hasn’t ever tasted as good since! I can’t enter as I don’t live in Australia, but I will have to check this book out! It looks gorgeous. I am going to Istanbul in a few weeks and am sooooo excited. Sounds like an exciting trip Katherine – have a fab time, can’t wait to see what you get up to there! Steak and kidney pudding. Reminds me of growing up, winter, warmth, and love. It makes ne think about my brothers and mum and dad. My husband can’t stand it at all. Every time I eat the Greek sweet baklava (filo pastry layered with honey and nuts), it always reminds me of the fantastic feasts we use to have on Easter Sunday. All the aunties that were invited to the feast would bring along a delectable dessert! Any pasta with carbonara sauce as it is the first dish that my two boys jointly cooked for their parents when they were 13 and 10. My elder boy is now in his second year uni. I adore tahini! I like nothing better than to lick it off my fingers whilst making lebanese delicacies. Nothing better than dipping a crisp fresh celery stick into it, or fresh lebanese bread. It transports my mind to the smells of spices, noise and wonderful turkish foods. Olives of any description. The first time I ate them I was about 2 years old and snuck them out of a bowl placed on the coffee table for pre-dinner nibbles at a dinner party my parents were hosting. I’ve been sneaking them out of bowls the globe over ever since with equal fervour! Christmas puddings, it’s my great grand mothers recipe n grandma had a few thruppence left when we were little to put in the pudding, even though decimal currency had long since come in. Grandmas no longer with us but my sister n I carry on the tradition of baking the Xmas pudding, in a 100 yr old bowl grandad was bathed in! Mum won’t have it any other way. We sit down together and make the puddings, I make my GF version n wrap them in calico n steam for 6 hrs, never letting off the boil! It’s a time consuming dish which is my heritage, my family, my tradition and it tastes extra good! I follow you on fb n twitter. 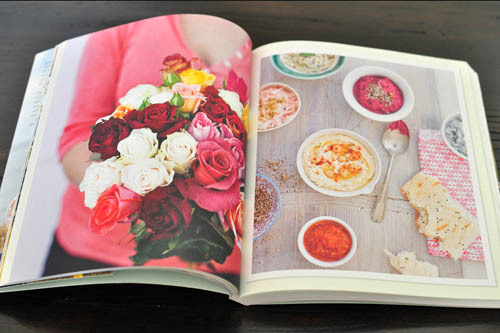 It would be ironic if I won a cookbook from u when u won 1 from me! Lol! 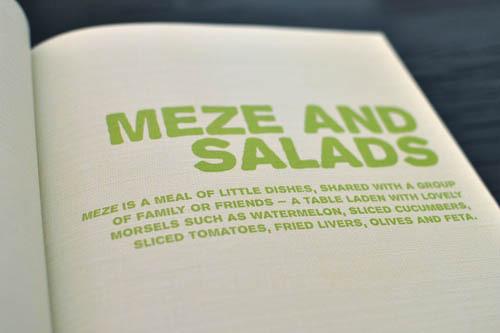 Great memories, great cookbook! I had my eye on this book too. Everything looks so delicious, and i just adore Turkish food. Everything is so fresh and full of spices. In fact we are going out for Turkish food tonight! As for what food brings back a good memory every time I eat it, that would have to be minestrone soup. My Nan made it when I was younger and it was always so comforting during those cold Tasmanian winters. Whenever I get sick now I immediately make a batch and it always makes me feel better. I love making my mother’s Chicken Paprika with home made noodles, will post the blog on it in winter. Always brings me comfort and makes me remember who I am and where I came from. My parents are long gone, sadly, but I can share this dish with my Peter… and my grown up daughter loves to make it too! For me it is Ricotta pie – my mother is Maltese and this was a regular dish from my childhood. I was already following you on twitter (@Sydney_Sitters) and just liked on facebook as the page Sydney sitters. I have to pick just one dish? Impossible! I think being sentimental about food just brings more flavour. 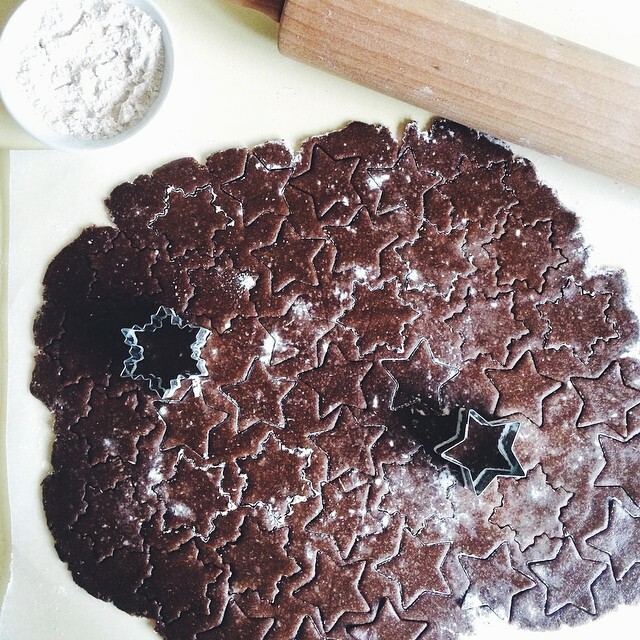 My Grandma sparked my passion for baking. She would include little notes to herself on recipes like the handwritten Christmas Cake recipe that has “Drop on the floor for luck”. It might just be to get rid of the air bubbles, but if I don’t follow that step I can’t be sure the cake will turn out exactly like Grandma’s! Love the look of this book JJ! Great eye candy! I know it’s cliched but mum’s spag bol always brings back memories of a time where there were no worries and being a kid was the best thing in the world. There’s a whole bunch of dishes like that for me 🙂 However, eating golden syrup dumplings takes me right back to sitting at the kitchen bench watching my mum make them and waiting to eat them with plenty of whipped cream. I can’t eat pea and ham soup without thinking of the giant pots of it Mum used to make. It was THE best winter warmer, and perfect after a day at the footy, post hockey or after horsing (literally) around. She used to use bacon bones, which smelled fantastic but didn’t offer much meat. I make it with smoked hocks. Still conjures up great memories. Could do with some today given how rotten the weather is looking! Am now following you on Twitter & Facebook. Thanks. When I was growing up in Brisbane in the 1970’s and 80’s, my mum used to make a cold rice salad in the summertime. It was just the accompaniment our family meals needed in the hot afternoons and evenings. It’s not so common a thing these days but whenever I smell cool rice I’m instantly transported back to those simpler days. This dish makes me swell with pride because it’s one of my dad’s specialties. It’s a Japanese dish called “Okonomiyaki” which means as you like it. So as a child my dad would let me choose any ingredient that I wanted to add into it, and for a child my age it was an absolute fun to be given a free reign. haha I can put ANY ingredient!!! Aside from the common ingredients like cababage, mushrooms, prawns, spring onions, I loved putting sausages and cheese into it! Surprisingly, the combination of flavours turned out really well. It had me wishing for more everytime I made them and brings back so many wonderful memories of my childhood cooking with my dad. Nom! Nom! aaaaaaand the giveaway is now closed! Thanks everyone for entering and good luck!